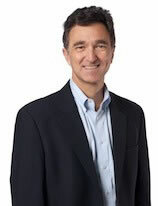 Gary York seeks to serve Christ as a technologist and entrepreneur. He has founded successful software and services companies serving the healthcare industry and is an advisor to numerous technology companies. He is a popular speaker on technology and entrepreneurship. Gary has a B.S. from Vanderbilt University, a Ph.D. from Carnegie Mellon University, and was a visiting fellow at UC Berkeley. After graduate school, he served as a full time volunteer with Food for the Hungry in Bolivia, Peru, Kenya, and Ethiopia. He serves on the Board of the McWane Science Center, Urban Avenues, and the Birmingham Venture Club. He is an active member of Oak Mountain Presbyterian Church. He and his wife, Cathy, live in Hoover, Alabama.